Copper has been used to cure many ailments since ancient times. It was the metal that introduced metallurgy to the human race. The lustrous, shiny orange color and its availability above the surface of the earth led to its discovery. It was used in making tools, jewelry, utensils and also weapons. Copper has also been used as a medicine to kill germs. Its unique ability to stop the growth of pathogens was discovered very early. The most ancient record is of the Smith papyrus which was one of the earliest books discovered to date. It contains information about copper being used to treat wounds. It also has accounts of Copper Utensils being used as vessels to store water. Our ancestors had discovered that copper has amazing health benefits. Trace amounts of copper are vital for the functioning of all living beings. It helps the body to properly use iron and vitalizes the nervous system as well. The color of our body which is due to the pigment melanin is produced only in the [presence of copper. It is found in many foods that we eat. It is present in small amounts in potato, green veggies, meat, and chocolate. It has the important role to play in regulating blood pressure and heart rate. It also has anti-carcinogenic properties and fights free radicals to keep us young. 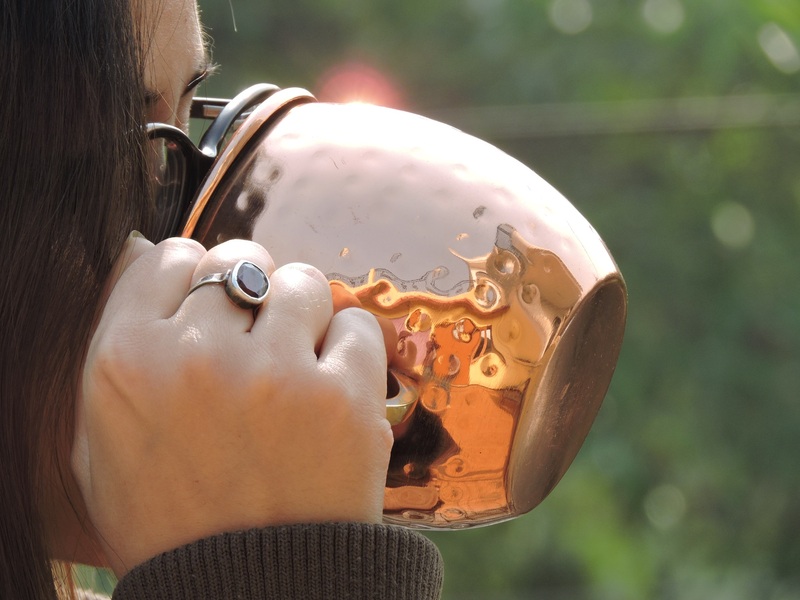 Drinking water from copper jugs and glasses helps the digestive system. There are many other benefits of Copper which we will try and bring to you all in the next post. Bye for now and keep watching this space for information on copper.